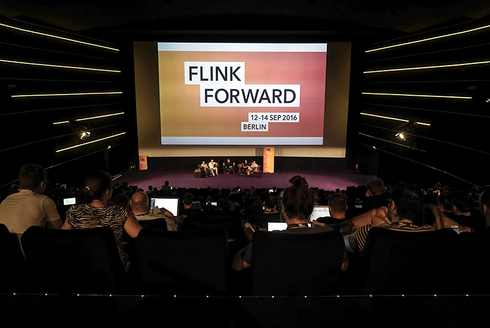 On September 12-14, 2016 the 2nd Flink Forward conference took place at Kulturbrauerei Berlin. 350 attendees from around the world joined twenty-five hours of talks. Over two days the conference focused on the current status and the future of stream processing in general and presented Apache Flink as one of the lead open source stream processing technologies in particular. The two days of conference were followed by the one-day Fink training. On the two days of conference, speakers from open source communities and major companies gave presentations featuring a wide range of topics related to stream processing such as current status and future development of Flink, building large scale stream systems based on Flink in several major companies, and the status of Apache Beam. In particular, founders and developers of data Artisans, the company behind Flink, presented several improvements and new features of Flink. Companies such as Netflix, Alibaba, Zalando, King, ResearchGate, and Uber reported their success stories of deploying Flink in production, processing tens of billions of events per day, and scaling Flink to a large number of computer nodes was astonishing. They shared the challenges they have faced and the solutions they have discovered while deploying Flink in production at very large scale. This provided numerous opportunities for attendees to engage in interesting and inspiring discussions and exchange experiences and ideas on the stream-based big data analytics and its future directions. The amount of improvements done in the Apache Flink analytics platform itself during the last year as presented by the project contributors was also impressive. In case you missed Flink Forward this year, take a look at the Flink Forward YouTube channel with video recordings from all talks. Get involved in a local meetup (see the existing meetups), or start one if there is no Flink meetup near you!